This review was originally written for the Baker Street Babes and can be found on our website here. Richard T. Ryan’s The Vatican Cameos tells the oft-mentioned story alluded to by Watson. The phrase “Vatican Cameos” became a military code after Doyle used it, but it’s unclear if it had been previously used or was derived from him. Ryan imagines the case as a literal allusion to the Vatican, and the story mostly takes place in Rome–in both 1501 and 1901. History buffs will enjoy Ryan’s detailed research. It’s clear he knows what he’s talking about, and when he brings in Michaelangelo and Leonardo, he’s just as confident as he is in Watson’s and Holmes’s characters. The action is paced swiftly, and the story moves along at an engaging pace. 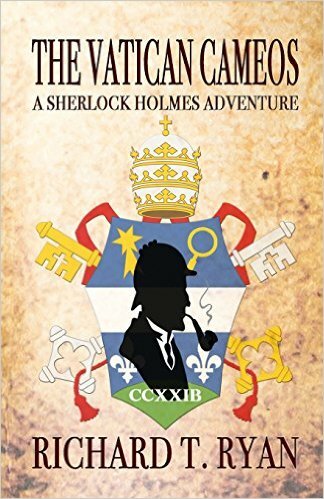 Ryan’s world pulls the reader in, whether he’s with Italian masters or the Baker Street detective, and he expertly weaves together action that is hundreds of years apart. The Vatican Cameos is a very enjoyable take on one of those stories from Watson’s Tin Dispatch Box that he never quite had time to tell. We previously reviewed Phil Growick’s excellent novel The Secret Journal of Doctor Watson here. 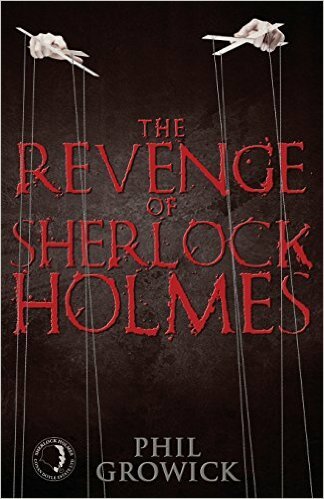 In The Revenge of Sherlock Holmes, he’s back with a thrilling continuation. Growick is masterful at writing Holmes, but he’s also an expert at weaving the stories of the Romanovs and other historical figures into his Sherlockian narrative. This is definitely a novel for those with a tolerance for finding many real-life individuals entwined with their Sherlockian mysteries, but Growick is never at a loss for how to use the individuals he selects, and his writing style is confidently witty and doesn’t get bogged down. 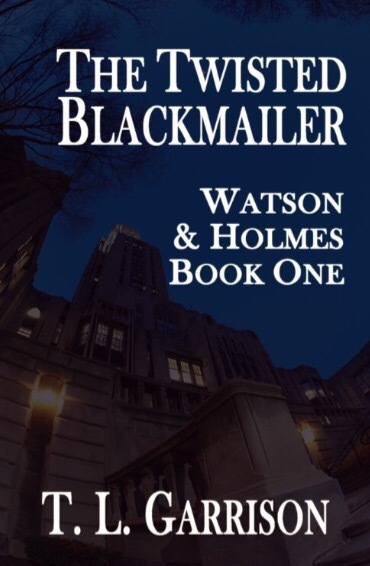 Growick emphasizes Holmes as a man of action and conviction, and fans of the detective’s physical prowess and tougher side will enjoy his take on the character. Both of his books that we’ve reviewed are adventures more than strictly-traditional mysteries, and they’re simply great fun to take in. The above-reviewed works were provided for consideration by the publisher. Opinions expressed are the reviewer’s own. It’s gorgeous, it’s engaging, and absolutely every Sherlock fan should own it. The Sherlock: Chronicles is a wonderfully detailed homage to the production of the hit series, and it’s now available in the United States in time to purchase it for all of the Sherlockians in your life. It’s a coffee table-style book with gorgeous behind-the-scenes photos, background information, and details about the cast and crew. All too often making-of tomes are ridiculously facile collections of information and photos that every fan has seen a thousand times. This book is the opposite, containing unique information, original artwork, beautiful set pictures, and analysis of every angle of the show from the people who make it. A copy of this work was provided by the publisher. All the raves are the reviewer’s own delighted opinion. I’m a happy book reviewer. A lot of times, when I review Holmesian literature, I come out with one of two perspectives: Either a book is a respectable pastiche but lags or is stilted in writing style, or it’s entertainingly written but comes across as disingenuous or anachronistic. It is rare, I repeat, extremely rare, to come across a book that is hugely enjoyable in style as well as being authentic and believable in content. Jewel of the Thames is that kind of book. As the subtitle clearly indicates, this book is not a direct pastiche. It’s about a female protagonist named Portia Adams, with mysterious connections to Dr. Watson, who inherits 221b Baker Street in the 1920s. Portia is an effervescent, charming, and engaging character. Sadly, it’s still quite rare to come across self-actualized, intelligent, and healthy female protagonists, especially in mystery fiction, but Misri has created an absolute classic in the genre. Even though Jewel is not a pastiche, it is an homage, peppered with references to characters and situations from the Doyle stories that will delight die-hard fans. It’s not just a vehicle for admiring Holmes, though. It’s the beginning of an extremely creative and well-researched mystery series in its own right. Jewel is being marketed for young adult readers, but any fans of Holmes who enjoy entertaining and very well-written stories will enjoy it. At the same time, it is certainly appropriate for younger readers who have the maturity to comprehend the content, and Portia Adams is an unusually positive role model. 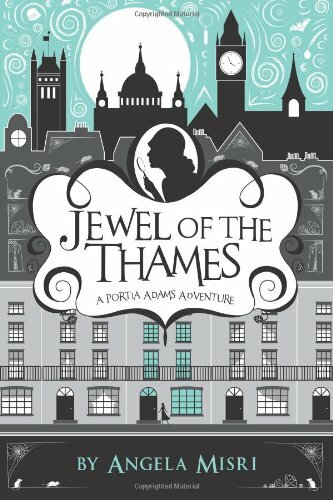 I’m encouraged by the trend toward a positively feminist voice in the contemporary world of Sherlock Holmes, and Jewel of the Thames is, in my opinion, one of the best contributions to this cause that I’ve ever encountered. It carries my strongest recommendation to fans of Holmes and would be an outstanding way to introduce new fans to Sherlock Holmes. One top of being a great book, Jewel of the Thames carries an almost ridiculously reasonable price tag, so you have absolutely no reason to miss it. Get it here. The above-reviewed work was provided for consideration by the author. All opinions expressed are the reviewer’s own. Charlie Milverton, a collection of five Sherlock Holmes stories, is certainly a book of its time. Prior to 2010, modernized Holmes stories existed, but the inception and meteoric rise of Sherlock and Elementary have brought the idea into vogue in an unprecedented way. 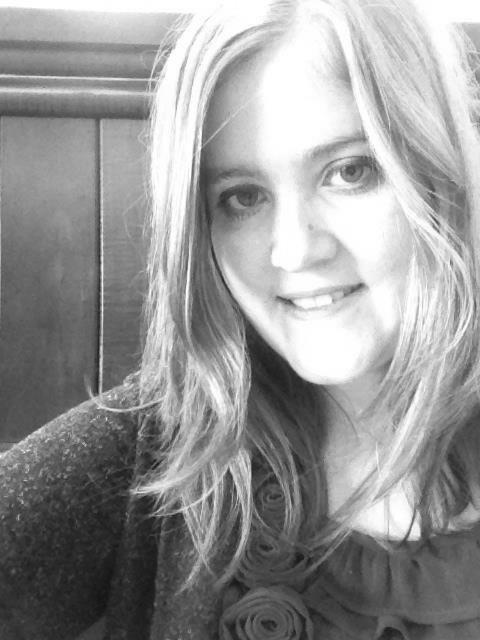 Author Charlotte Anne Walters has chosen to turn her pen toward bringing this phenomenon back to the printed page. Charlotte isn’t at all cagey about her source material. Titles like “The Premier Bachelor” give broad hints of the stories she’s chosen to update, and her plots come directly from Doyle. What she’s chosen to change are contexts, and, to some extent, characters. Individuals like Charlie Milverton are recognizable as updates of their canon counterparts, but their qualities and vocations are at home in the modern world. The style of the writing is fast-paced and very plot driven. Readers won’t find themselves getting bored. The prominence of Lestrade’s character is unexpected but certainly welcome and enjoyably executed. 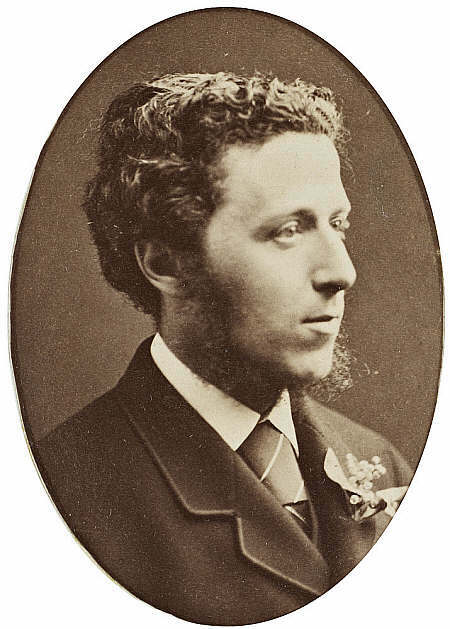 As a devoted watcher of Sherlock, there have been moments throughout the series when I thought the modernization of a particular aspect rang less true than it should, particularly in “The Blind Banker.” I found myself experiencing a similar feeling occasionally when reading Charlie Milverton, as a Victorian-sounding line here and there jarred slightly with my immersion into the stories’ modern world. 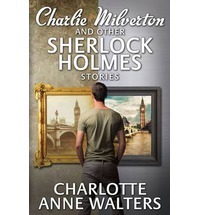 Overall, Charlie Milverton is an interesting project that asks whether or not a Sherlock Holmes story can be translated as directly as Walters has chosen to do and succeed as a modern story. Barring the occasional odd moment, I would say the answer is yes; it works. Charlie Milverton and other Sherlock Holmes Storiesis available from all good bookstores including Amazon USA,Amazon UK, Waterstones UK, and for free shipping worldwide Book Depository . In ebook format it is in Amazon Kindle, Kobo, Nook and Apple iBooks (iPad/iPhone). A copy of the above-reviewed work was provided for consideration by the publisher. All opinions expressed are the reviewer’s own. Tomorrow is my 29th birthday, and I’ve decided to celebrate with a list of 29 of my favorite things about the world of Sherlock Holmes. Nothing compares to the 56 short stories and four novels penned by Sir Arthur Conan Doyle. Now that most of the stories are in the public domain, it’s easy to find them on the Internet for anyone who wants to take a look. My favorite story is “The Adventure of the Copper Beeches,” but there’s something I love in every single one. Doyle is often credited for creating amazing characters and intriguing mysteries. He’s less often given his due for how funny the stories are and how much truth about friendship and tolerating differences they contain. Visual media adaptations are a wonderful way to enter the world of Holmes, but there’s no reason to stop there. The canon beckons, and Sir Arthur has so much to offer. Jeremy Brett’s life was, in many was, a tragic one, but he (and his Watsons) left behind a stunning legacy–hour after hour of beautiful television adaptations of the canon, painstakingly and brilliantly traditional in character. Unlike many of my friends, I don’t consider Brett my favorite actor to play the role, but he is certainly one of my favorites, and his immense legacy defines the question of what it means to portray Sherlock Holmes. In 1985, Paramount tried to jumpstart a franchise about a teenaged Sherlock Holmes (and Watson). The idea didn’t take off, but I still find Young Sherlock Holmes an extremely enjoyable watch, and I count star Nicholas Rowe among my favorite actors to portray the detective, enough that I wish he would have another go as an adult. 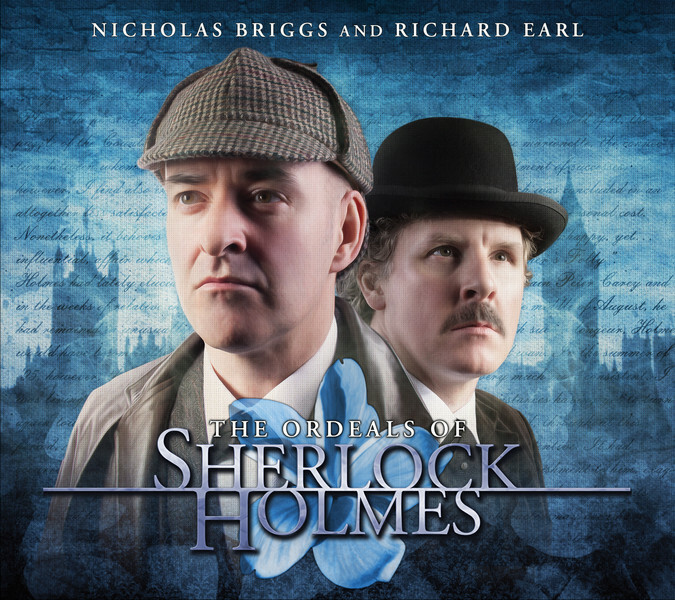 The often-overlooked art of audio drama is one where Sherlock Holmes continues to flourish, particularly in the capable hands of Nicholas Briggs and the Big Finish team. 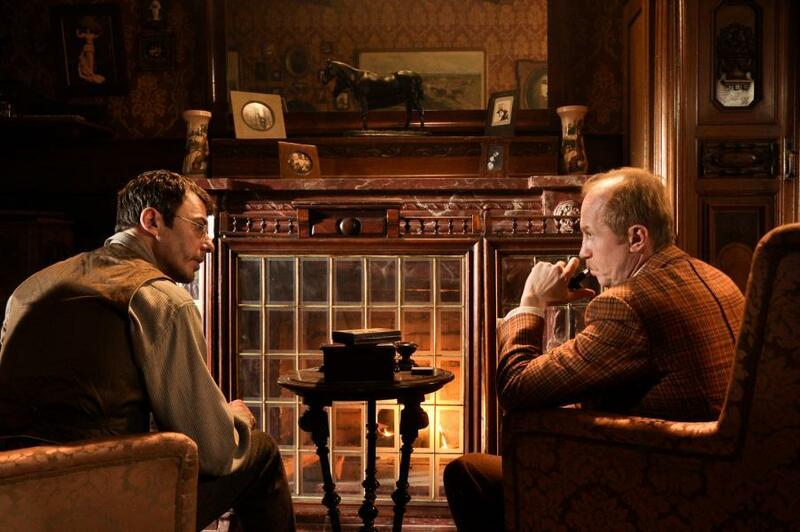 We all know of Holmes adaptations that are disputable–some people love ’em, other’s hate ’em. 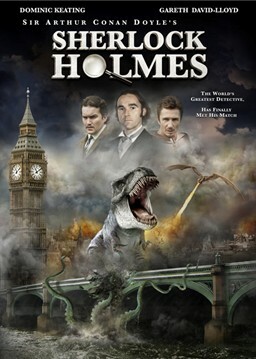 Then there are those adaptations so terrible they’re like the Sharknados of Sherlock Holmes adaptations. If you want to see the mother of them all, check out the one simply titled Sherlock Holmes and put out by The Asylum. You will not be disappointed. Three series of pure bliss, that’s what show creators Steven Moffat and Mark Gatiss have given us, along with the brilliant Benedict Cumberbatch, Martin Freeman, and a host of gloriously idiosyncratic side characters. I was skeptical when I first heard about the idea of a modern Holmes, but I gave it a try anyway, because of the people involved. Nine episodes later, I’m still stunned by a piece of art that continues to be both gloriously traditional and thrillingly of-the-moment, all at the same time. I’ve never engaged with a fandom as much as I’ve engaged with the world of Sherlock Holmes in the past three years. I’m perpetually stunned by the sheer creativity, brilliance, and good will. I know Holmesians in their 80s and Holmesians in their teens, along with everything in between. Like in every fandom, there’s a conflict now and then, but overall, I’ve found the world of Sherlock Holmes to be an astonishingly pleasant place. I’m not exactly sure why, but I like to think Sherlock Holmes and John Watson appeal to the best in all of us. I’ve never been lucky enough to see the classic Soviet Holmes series from the 1980s with English subtitles, but there’s a new Sherlock in town. He’s quirky, extremely Russian, and ultimately as clever and captivating as any I’ve ever seen. 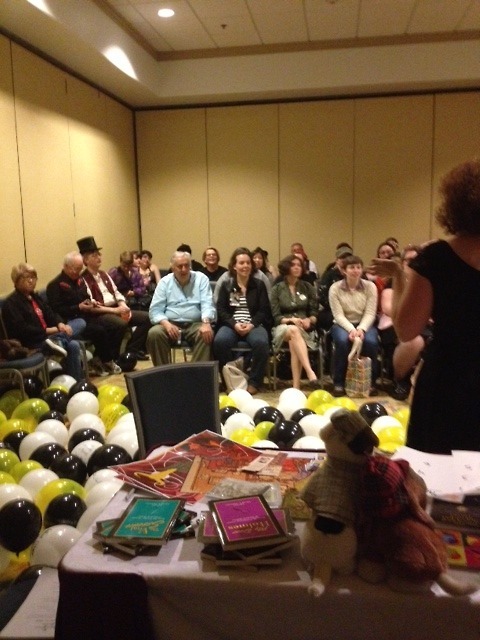 Conventions have long been a chance for fans to connect and enjoy shared interest in particular shows, books, and films, and 2013 saw the inaugural year of 221b Con, a weekend filled with Sherlock Holmes-themed parties, panels, and insane fun. I had a wonderful time at 221b Con (enough to be back for 2014), and what delighted me most was the range of ages, genders, and interests. BBC Sherlock devotees rubbed shoulders with Brett-philes, and young and old mingled in a wild cacophony of Sherlockian glee. It was truly a celebration of Sherlock Holmes in every form. Holmesians are somewhat divided on the Ritchie-Downey Jr outings, but I’m a huge fan. I don’t watch them expecting purist canon adaptations. I’m looking for a stylized, fun romp through Holmesian settings and stories. 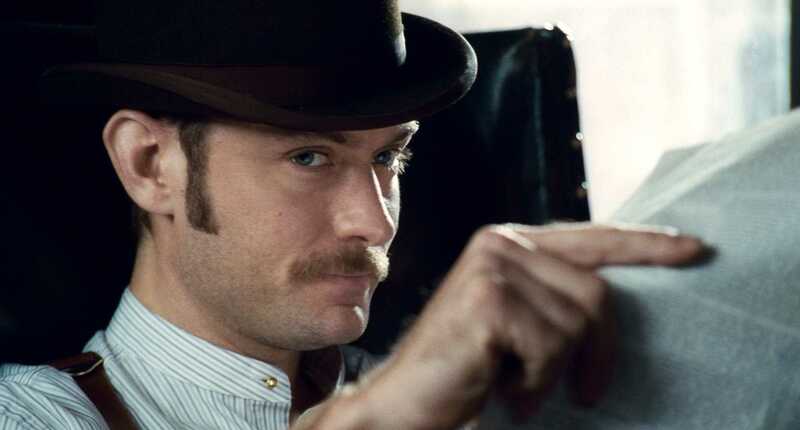 Jude Law is justifiably venerated for his Watson, but I don’t think Robert Downey Jr gets enough credit for portraying the complexity and vulnerability of Holmes’s personality, aspects that are sometimes overlooked in other adaptations. In Holmesian terms, they complete me. 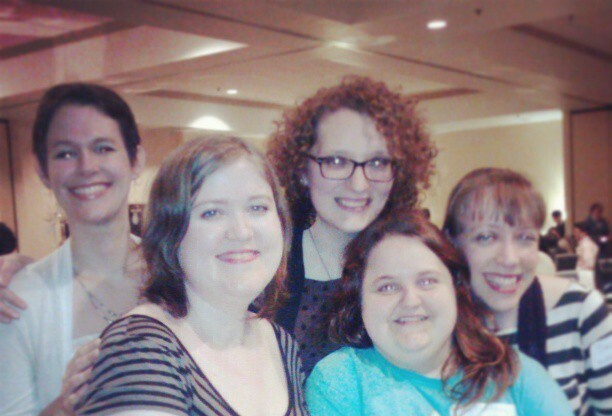 The Baker Street Babes is an all-female Sherlock Holmes-themed podcast. 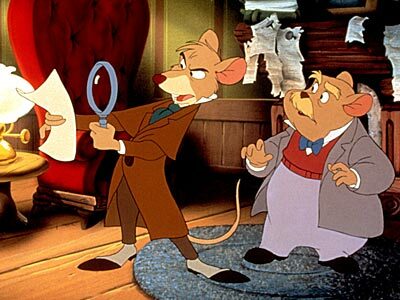 We cover everything from the canon to The Great Mouse Detective, and we have a blast doing it. If you love us, please consider taking a moment to vote for us in the Podcaster category of the Shorty Awards. Holmes is not a traditional hero. He’s moody, introverted, and uses his mind to solve most of his cases, rather than his physical strength. He’s physically capable, but his superpower is his mind. I love the fact that just as Western society finally begins to appreciate the advantages of introversion, Holmes is a role model and emblem for introverts everywhere. I wrote about this topic in depth here. It’s not often that a fictional character impacts the real world to the extant that Sherlock Holmes did. When the character was created, the police were barely using forensic techniques, and Doyle’s texts were required reading for police training for quite a while. He’s credited with having a huge part in changing the face of police work to be what it is today. Had there never been a Joseph Bell, there might never have been a Sherlock Holmes. As a young man, Doyle saw Bell deducing patient complaints the way he later wrote Holmes making deductions about his clients, and the idea of an immortal character was born. Sherlock Holmes has been the subject of many phenomenal graphic novels over the years. A notable current example is the racebent, modernized Watson and Holmes series by New Paradigm Studios. One place to find all kinds of fantastic articles about Holmes is the Baker Street Journal. Another is the recently-published collection One Fixed Point in a Changing Age: A New Generation on Sherlock Holmes. Doyle’s inclusion of near-factual events and near-historical characters has long tempted fans into playing The Game, which simply means reading the stories as if Holmes and Watson are real historical figures and fitting all of their exploits into a historical context. I did this in my first novel, The Detective and The Woman, in which I wrote about Holmes meeting inventor Thomas Edison. 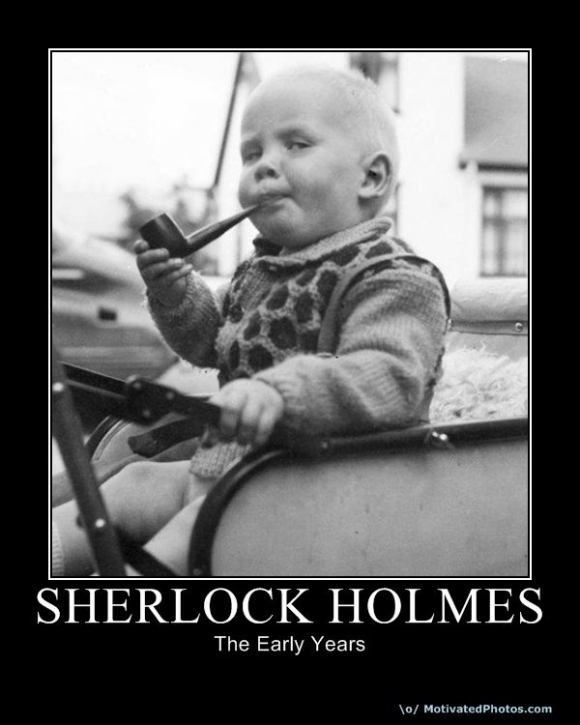 The pipe, the hat, the cape…Sometimes I roll my eyes at the overuse of the tropes we’ve come to associate with Sherlock Holmes, but it’s always a fond eyeroll. Like a secret handshake, Holmes tropes are the little emblems of a shared world. They’re the things that remind us that whether we’re watching Sherlock or a Basil Rathbone film, we’re all appreciating the same thing. Speaking of Rathbone, his classic films illustrate the timelessness of the character of Holmes, taking the detective out of the Victorian context to fight Nazis and other miscreants. I first encountered the Holmes canon as a child, but during my teens and early 20s, my strongest link to Holmes was through Laurie R. King’s Mary Russell series, stories about the post-retirement Holmes and his partnership with a young woman. If it wasn’t for Laurie, I don’t believe I’d be a pastiche author today. Her writing broke the glass ceiling of what I thought was possible in the world of Sherlock Holmes. She’s The Woman, she outsmarted Sherlock Holmes, and I love her. In my books, I refer to London as Holmes’s mistress. Doyle’s writing is so atmospheric that it’s as if the setting is a character in its own right. The name Sherlock Holmes is instantly synonymous with hansom cabs, dirty streets, and gas lights–an alternate universe London that never existed but really, really should have. The Seven-Per-Cent Solution by Nicholas Meyer remains one of the most famous Sherlock Holmes pastiches ever penned, and Meyer followed it up with two respected sequels. Seven-Per-Cent isn’t perfect, but it’s a brilliant take on Sherlock Holmes that introduces him to Sigmund Freud and manages to turn a lot of things we think we know about Holmes on their heads–without seeming disrespectful in the least. Eternal thanks to Sir Arthur “Continuity” Doyle for things like having Mary Watson forget her husband’s name, inexplicably calling Mrs. Hudson Mrs. Turner, and various other major timeline shenanigans. Reading Holmes would be way less fun if it all made sense. There are some truly fabulous mashups of Sherlock Holmes with other universes–Doctor Who, Frankenstein, The Phantom of the Opera–the list could go on forever. One of my personal favorites is the book My Particular Friend by Jennifer Petkus, which reimagines Holmes and Watson as women in Jane Austen’s Regency England. We all bring something different to the experience of Sherlock Holmes; we all get something slightly different out of it. And yet, we can all find common ground through our love of the greatest detective character the world has ever known. Ladies, Gentleman, and Airship Captains, grab your iPads! I hardly know where to begin this review, so brimful am I with Holmesian, Steampunk, geekish glee. 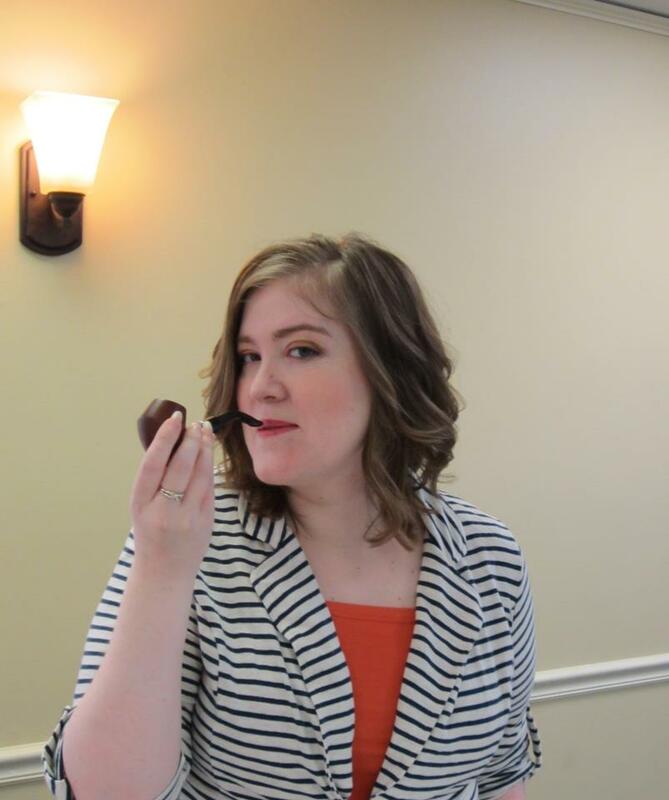 Several months ago, I had a chance to help my fellow Baker Street Babes interview members of the Steampunk Holmes team about their new venture, a series of Sherlock Holmes pastiches set in an alternative Steampunk universe. More than that, they tantalized us with tales of a world beyond the page, a fully interactive app experience with unique artwork, music, audio drama, and design. At the time, I purchased the text-only version of Steampunk Holmes: Legacy of the Nautilus, which was the inaugural story written by P.C. Martin. I was blown away. Far from being a gimmick, the Steampunk elements were an integral part of a beautiful story. During our interview, P.C. shared with the Babes her painstaking process of assimilating the narrative voice of Sir Arthur Conan Doyle. Her success is a crucial aspect of the success of this project, because a story that places Holmes, Watson, and others from their world into a Steampunk universe needs to feel authentically Holmesian, or else there just wouldn’t be enough of a link to the original stories to call this a Sherlock Holmes series. Thankfully, P.C. more than attained her goal. Now we come to the issue of apps. Sherlock Holmes has had a presence in the world of technology for some time, starring in eBooks, games, and applications. When I first purchased an iPad, I eagerly searched the iTunes store for anything related to the detective. My search came up more depressing than empty, and I ended up with a supposedly-interactive version of a Holmes story that was ugly, had few features, and couldn’t keep up with my reading speed. 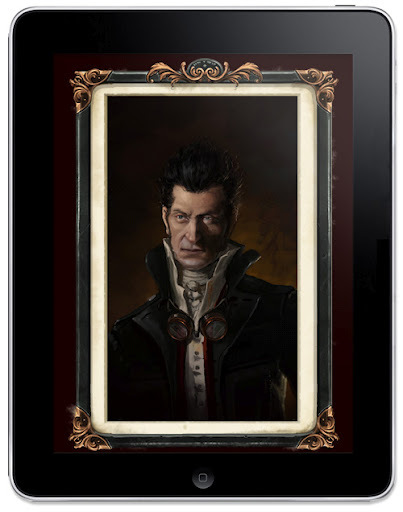 In other words, I felt a mighty need for a Sherlock Holmes app that actually utilized the features offered by the tablet in the service of uniquely Holmesian content. 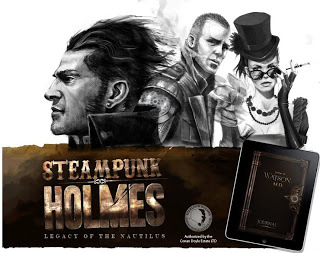 This week, my wish was granted, with my acquisition of the brand new Steampunk Holmes: Legacy of the Nautilus iPad app, which is just as whimsical, beautiful, and engaging as its creators promised. Why should you purchase this app? The artwork is stunning. Artist Daniel Cortes has created a design style that is echoed throughout the app and feels delightfully old and delightfully new at the same time, as Steampunk should. The inclusion of clickable links throughout the text that bring up pictures of items and characters is particularly enjoyable. The musical soundtrack is neither to little nor too much. Steampunk musical act Abney Park has created (optional) background accompaniment that complements the narrative without being overly obtrusive. The audio performance is its own unique experience. The professionalism of the voice acting elevates the audio option from a simple add-on to a whole other world. The update of Mycroft Holmes is, well, something you have to experience for yourself, and it’s ideal for an alternate Steampunk universe. The story itself, in addition to being well-told, has strong ties to one of the original Sherlock Holmes stories. I’ll let you discover which one for yourself. Simply put, Steampunk Holmes: Legacy of the Nautilus is a feast for the eyes and ears of fans of Sherlock Holmes, Steampunk, or both. It ups the ante of Holmes-themed applications, while at the same time providing a central story that is engaging and suspenseful. Truly a can’t-miss, and one that leaves me longing for more titles to be added to the series as soon as possible. To purchase the application, visit the iTunes store. Purchase the story in print or as an ebook.. Check out the Steampunk Holmes website. Follow @SteamHolmes on Twitter for updates about future stories in the series. 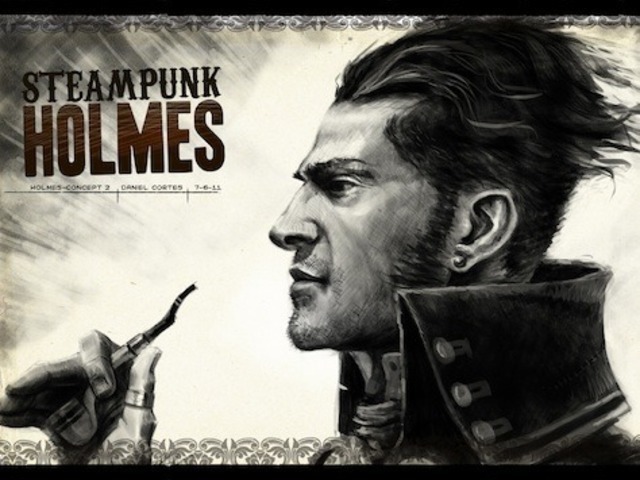 A copy of the Steampunk Holmes application was provided for consideration by its creators. The opinions expressed are the reviewer’s own.